Leonardo is part of the Charlie Bears ‘A Palette of Colour’ series, designed by Isabelle Lee. 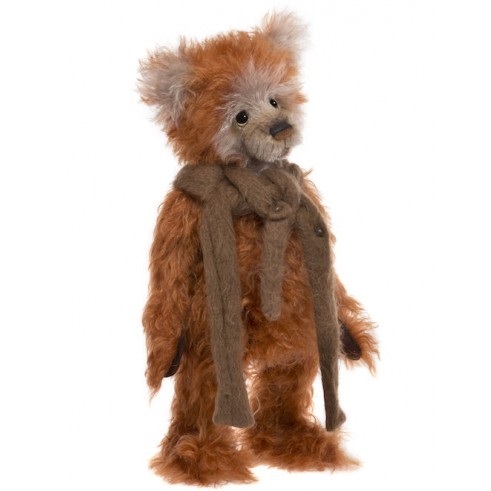 Made of luxurious wavy amber and cream mohair, he has brown ultrasuede paw pads and can stand freely on his flat feet. He has black eyes with white discs behind, a brown airbrushed nose and wears a brown wool scarf with wooden flower button decoration.